Pirooz Barar received his Masters of Science in Civil Engineering from the University of Colorado at Boulder in 1968. 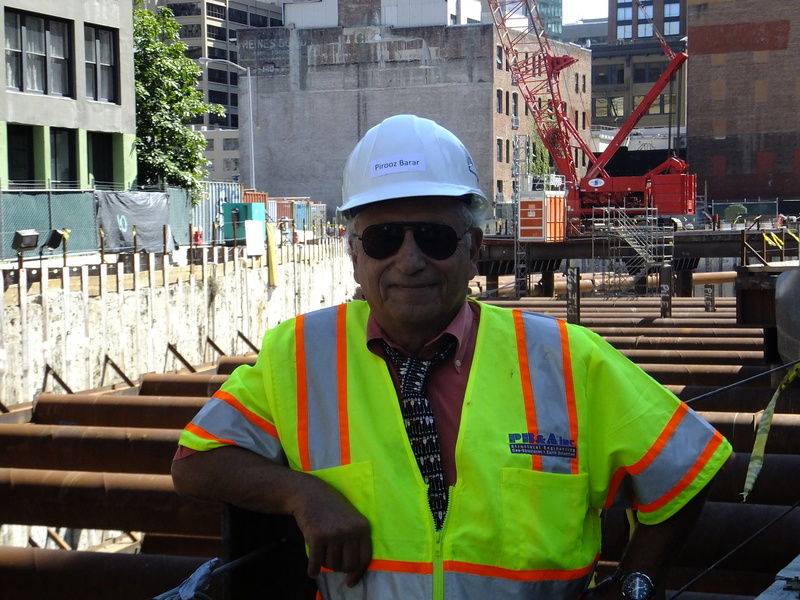 He has over 35 years of structural analysis and design experience, and over two decades devoted to the development of advanced technical methodology for the design of shoring, underpinning and earth retention. Mr. Barar’s past project experience includes design of shoring systems for the new Palazzo Tower and Parking Addition to the Venetian Hotel, Las Vegas, NV; Legend Condominium Development in San Diego, CA; Elektra Condominium Development in San Diego, CA; Advantage Pointe Condominium Development in San Diego, CA; Eastside Light Rail Transit project in Los Angeles and Pasadena, CA; Stanley Hall, University of California, Berkeley; Arroyo Seco Blueline Metro Project in Pasadena, CA; North Anchorage of the new Carquinez Bridge; Zion Parking Structure in Salt Lake City, Utah; GAP World Headquarters in San Francisco; Big I Freeway Project in Albuquerque, New Mexico; Vassona Light Rail Project in San Jose; Sandia National Laboratory, Sandia, NM; Domaine Carneros Pinot Noir Addition in Sonoma; and the San Francisco International Airport International Terminal. More recently Mr. Barar has led PB&A’s design efforts in transportation “Mega Projects”, including the SOE for the Transbay Transit Project in San Francisco, both the Los Angeles Metro’s Regional and Westside Extension projects that include 5 of the underground stations, all approximately 100 ft. deep excavations; the Midcoast Expansion Project in San Diego for SANDAG that will take the Light Rail from Old Town in San Diego up to UCSD in La Jolla; and the VE design of the Permanent Earth Retention System of the Direct Access Road for the I-5/805 Carroll Canyon Project in North San Diego County. Mr. Barar accepted the APWA award for the “2017 Project of the Year” for the Carroll Canyon Project, along with our Client AECOM and General Contractor Skanska. 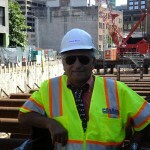 Mr. Barar in an active member of the greater Structural Engineering community and remains consistent with evolving trends and ideas in the industry through his memberships with the American Society of Civil Engineers, Structural Engineers Association of Northern California, American Concrete Institute, ADSC International Association of Foundation Drilling, and the Deep Foundations Institute. Mr Barar is also a Professional Affiliate of the AIA, and served as the chairman of the Soil Nail Committee, formed with the City of Los Angeles, to establish and publish guidelines for the design, construction, and inspection of permanent Soil Nailed Walls in the City and County of Los Angeles.